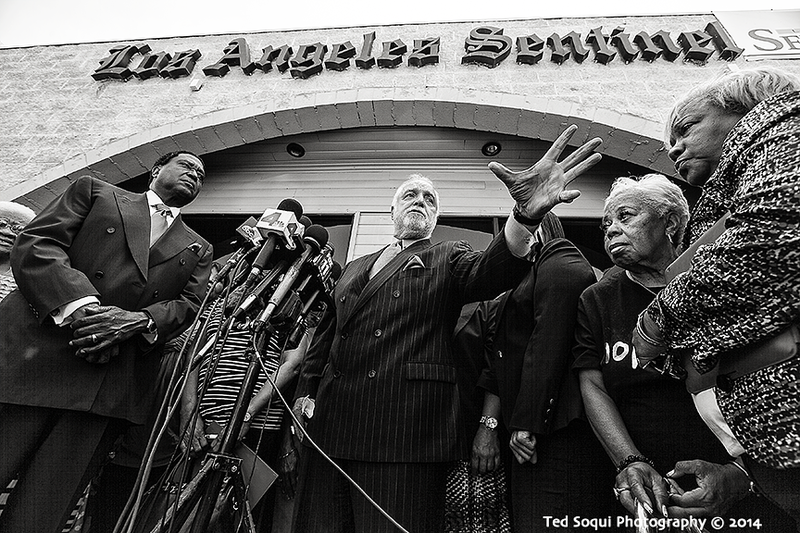 Family members, attorneys, and civil rights activist held a press conference in South LA today calling for criminal and civil rights violations charges against a CHiP officer who beat Marlene Pinnock on a LA are freeway last week. The beating was caught on video by a passing motorist, and is being called the new "Rodney King" video. The beating is under investigation by the CHiP. Danny Bakewell speaking to the media.